The magnesiumlike spectra of Cu to Mo have been observed with laser- and tokamak-generated plasmas in the range of 100–300 Å. 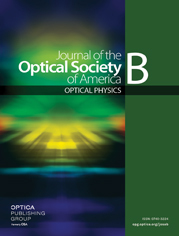 We give wavelengths accurate to ±0.005 Å and classifications of transitions among the 3s2, 3p2, 3d2, 3s3p, 3s3d, and 3p3d configurations. Comparisons with Dirac–Fock calculations of the wavelengths are presented. a Wavelengths are in angstroms; intensities are visually estimated from plate blackening. The symbol bl indicates a blend of unresolved lines. b These wavelengths are calculated from the observed levels. c Wavelengths in parentheses were derived from C − O data plots. d This line is blended with a strong Ga xix transition. e These lines were reported in Ref. 1 but did not appear on our plates. f These lines were reported in Ref. 2.
a Wavelengths are in angstroms. Intensities are visually estimated from plate blackening. b Wavelengths in parentheses were derived from C − O data plots. b Wavelengths in parentheses are taken from the table of fitted values (Table 5 below). They were not observed in our spectra. a Extrapolations to silver are given with an estimated uncertainty of ±0.05 Å.
a Values from wavelength in Ref. 1.
a Levels in parentheses are derived from interpolated or extrapolated wavelengths in Table 5.